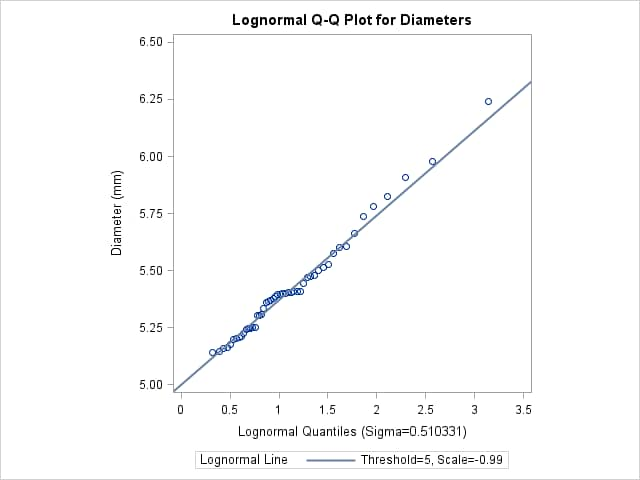 This example, which is a continuation of Example 4.30, demonstrates techniques for estimating the shape, location, and scale parameters, and the theoretical percentiles for a three-parameter lognormal distribution. 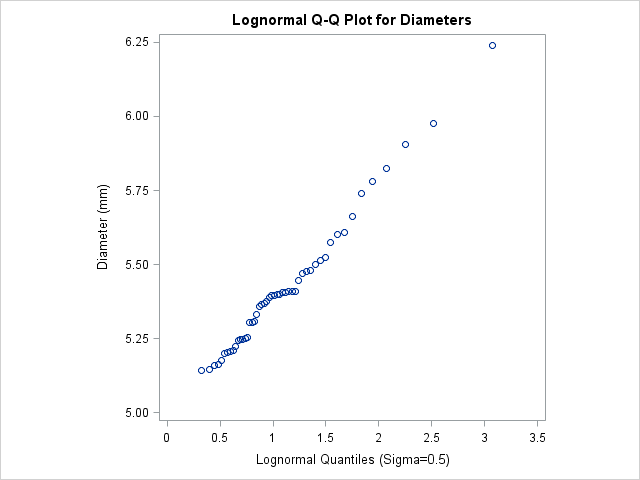 Note: You must specify a value for the shape parameter for a lognormal Q-Q plot with the SIGMA= option or its alias, the SHAPE= option. The plot in Output 4.31.2 displays the most linear point pattern, indicating that the lognormal distribution with provides a reasonable fit for the data distribution. The points in the plot fall on or near the line with intercept and slope . Based on Output 4.31.2, and , giving . Output 4.31.1 through Output 4.31.3 show that the threshold parameter is not equal to zero. Specifying THETA=5 overrides the default value of zero. The SIGMA=EST and ZETA=EST secondary options request estimates for and that use the sample mean and standard deviation. From the plot in Output 4.31.2, can be estimated as 0.51, which is consistent with the estimate of 0.5 derived from the plot in Output 4.31.2. 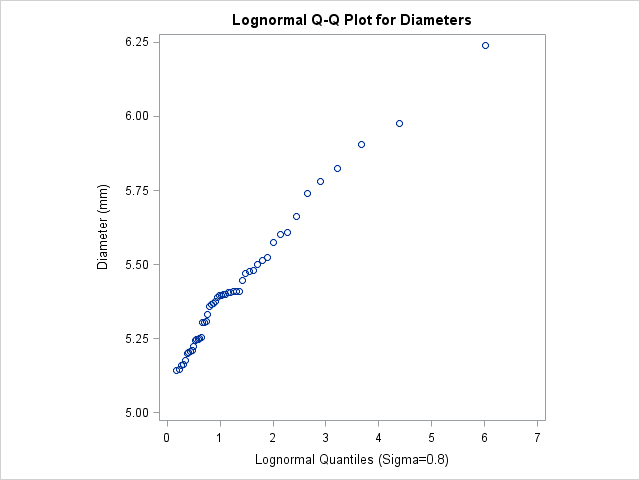 Example 4.32 illustrates how to estimate percentiles by using lognormal Q-Q plots.